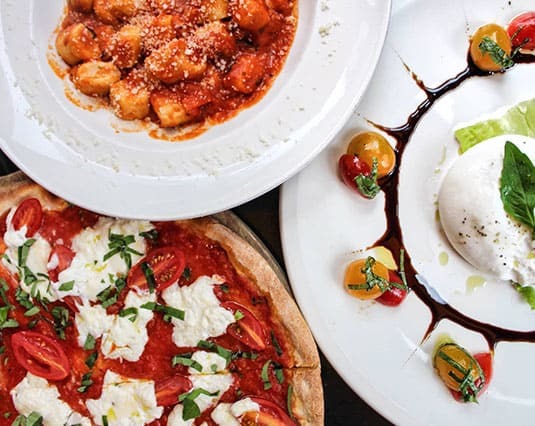 WHY WE SERVE THE BEST PIZZA & PASTA IN MIAMI? Serafina Miami was developed by Benny Shabtai, Stacey Shabtai, Samantha Cooper & Michael Baccaro. Our powerful Partnership with Vittorio Assaf & Fabio Granato, the Serafina Founders creates a beautiful experience for our guests. Serafina’s menu is comprised of local and imported Italian ingredients. Our ingredients and vendors are carefully sourced by our Owners and Executive Chef. Our foods are prepared daily and made to order ensuring the freshest and most memorable experience. We strive to use Organic, Wild and Free-Range products. The menu offers Gluten-Free, Vegan and Vegetarian options. We look forward to feeding you soon!